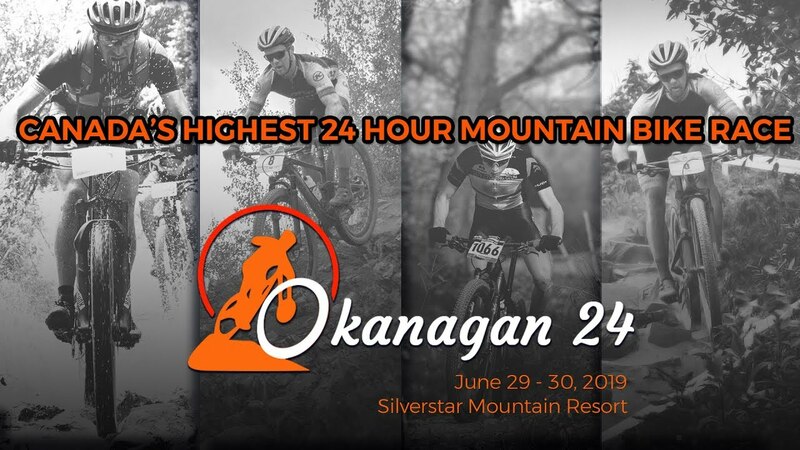 Get ready to rock out on June 29-30, 2019 at the Okanagan 24’s 24 hour team and solo race or the 4 hour solo race. The race is located at Silver Star mountain at an elevation of 1,609 m (5,280 ft) that makes it Canada’s highest 24 hour mountain bike race. 24 hour and 4 hour mountain bike races which are for all levels of riding ability. The 24 hour race categories are competitive teams of 5, solo racers and corporate teams of up to 10. The 4 hour race will allow for solo racers only to compete. Grab your 5 best spandex warriors and get your give’r on! Ladies weekend out – grab your girls and have a 24 hour pedal crushing party! Mixed it up and have fun with a co-ed team! Team building level: MAXIMUM! There’s no better way to get on the same page in the office than riding on the same trails! Really stoked to be putting on this event with Leighton. The Okanagan is an amazing place for biking! Can't wait to showcase what Silver Star has to offer. The trails here are stellar and getting better every year! Racing for 24 hours solo means that you must also eat for 24 hours, ideally 300-400 calories an hour which equates to 7200-9600 calories over the course of the race!